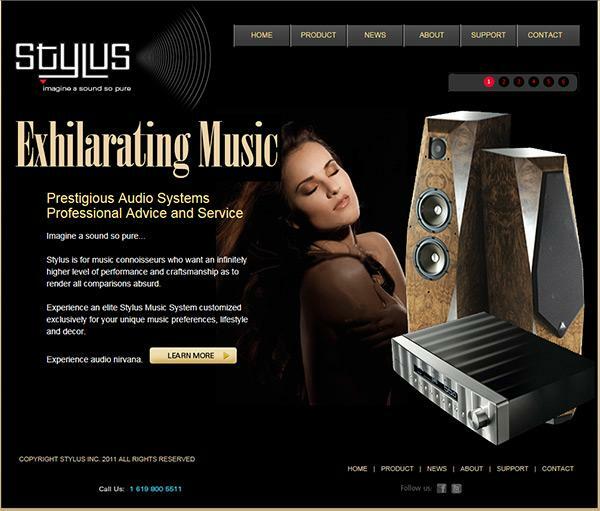 Following the success of Audio Revelation, Entrepreneur Jay Kauffman launched Stylus, a brand targeted at high-income individuals with a test for the best audio systems money can buy. The initial site however was developed in flash which meant it wouldn't display on most mobile devices including iPads - one of the most used web browsing tools in his target market. The brand also need an overhaul to align with the audience. Acorn Interactive provided a new marketing strategy, website, print media and brand overhaul. Search engine optimization was also applied to the site content since the flash-based site lacked any visibility within the search engines.